In this episode of Life Stories, my podcast series of interviews with memoir writers about their lives and the art of writing memoir, I chat with Daniel Smith about Monkey Mind, his “memoir of anxiety.” Naturally, we plunge right into talking about anxiety—one of the particularly interesting things that came up during our conversation was when he explained that he didn’t become anxious revisiting many of the traumatic experiences that defined his early life; the anxiety he felt tended to be more about the frustrations of writing itself. We also talked about the therapeutic techniques that have proven successful for him, which focus on a mindful awareness of what’s going on in his head when anxiety strikes, and about the surprising role that Botox plays in alleviating one of his worst physical symptoms. We discussed the importance of building up new patterns of thought that allow anxiety sufferers to keep things in check, because if you don’t, anxiety is really good at biding its time and waiting for the opening to strike. 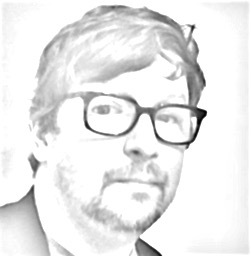 As it happens, Smith wrote an essay for the New York Times earlier this week along a similar theme, inspired by a comment his brother made, which gets reframed as: “Don’t be an idiot.” Specifically, don’t be “an impractical and unreasonable person, a person who tends to forget all the important lessons, essentially a fool, one who willfully ignores all that he has learned about how to come to his own aid.” He mentions the things that have worked for him, acknowledges alternatives that might work for other people, but, ultimately, “I’m not sure it matters what a person chooses—so long as he chooses and keeps choosing.” It’s a tenaciously optimistic mindset that you can feel in every moment of our conversation. 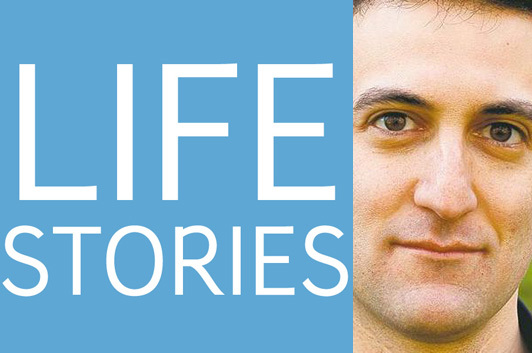 Listen to Life Stories #12: Daniel Smith (MP3 file); or download the file by right-clicking (Mac users, option-click).